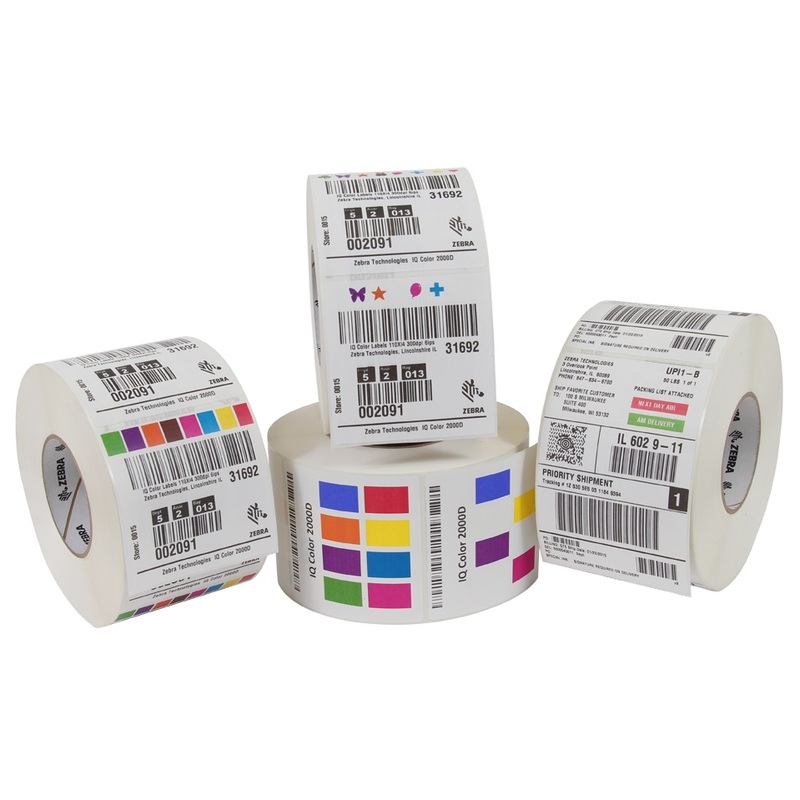 Now you can print colour labels on demand with Zebra’s patented* IQ Color direct-thermal ink technology, which is compatible with any Zebra ® thermal printer. Zebra IQ Color enables you to create three colour zones (plus black) within the label that can be activated as required to highlight important information in colour within one label format. inkjet printing, separate colour labels or colour markers. During label manufacturing, Zebra applies invisible ink colours to the zones you designate. Your printer heat-activates the ink to make selected colours visible as your application requires. It can reveal the colour in the form of shapes, text, graphics or reverse images.